This is gaming news for December 19 through 23. The Steam Winter Sale is up. The GOG.com Goodbuy Sale is up. The non-denominational socks are hung by the chimney. And me? I’m on vacation. But before we get out of here, turn off the lights and lock the doors until CES kicks off in January, I might as well wrap up the week’s news one more time—just to send 2016 on its way. It’s actually been fairly busy! Beamdog’s teasing a new game in the works, Crypt of the Necrodancer is getting an expansion, Overwatch is already prepping for 2017, Battlefield 1 is finally bringing the French to World War I, and more. This is gaming news for December 19 through the 23. Be sure to check back here next week—we’ll have our annual Game of the Year list, our twice-annual Games You Might’ve Missed list, and a preview of what’s to come in 2017. With Ana and the long-teased Sombra already released, it’s time for Overwatch to start prepping the next batch of post-release content. If you want to get a peek behind the curtain, you can watch this new update video, “Year in Review”—which also, for the record, deals quite a bit with the year to come. Multiple heroes, new maps, and a server browser are all discussed, though none in much detail. The weirdest decision in Battlefield 1: Absolutely zero focus on the French at launch. That’s a bit inexcusable, for a war where most of the major battles were fought in the French countryside by French soldiers. 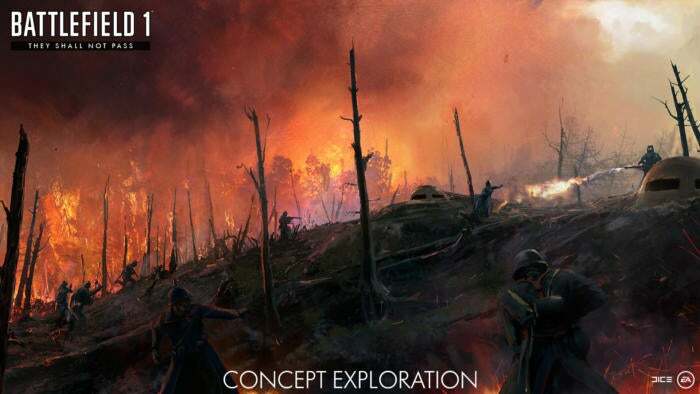 But everyone surmised DICE must be holding onto those battles for post-launch content, and sure enough we got a first look at the “They Shall Not Pass” expansion this week. 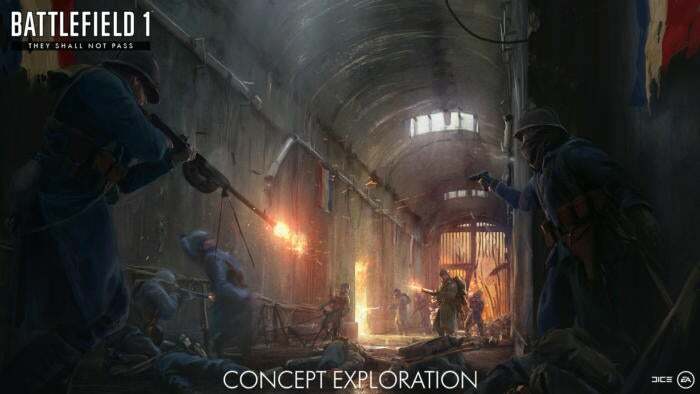 Releasing in March, DICE says it’ll bring “new maps, new weapons, and the new playable French Army faction.” Included in those maps? It sounds like multiple battles from the nine-month Verdun campaign and at least one from the later Battle of Soissons. There’s only concept art for now, but expect to hear more soon. Work continues apace on Vampyr, Dontnod’s supernatural adventure game thing that looks absolutely nothing at all like Life is Strange. The latest evidence comes by way of IGN, who showed off a new trailer with some story info (and not much else). I don’t know. It still looks weird. Beamdog’s looking for beta testers. For what? No one knows. Well, at least nobody outside of Beamdog knows. “We are not ready to announce the title of this game just yet,” says the official forum post—which means you should definitely start spreading rumors about Baldur’s Gate 3. Anyway, you can sign up to be a tester, provided you’re willing to abide by the NDA and all that. But seriously: Baldur’s Gate 3. Or a Planescape: Torment remaster. I’d take that too. Mafia III continues its bizarre “DLC That Should’ve Already Been In The Game” release this month with new racing side-content and car customization options, following up on November’s clothing update. At this rate Mafia III will finally nail down all of Mafia II’s features sometime in July of next year. At least the update’s free, though that won’t exactly do much for anyone who’s already finished the mediocre launch version of the game. Should’ve taken six more months to finish this one up, 2K. Surprise! Crypt of the Necrodancer was one of 2015’s best games and now out of nowhere it’s getting a “DLC prequel” known as Crypt of the Necrodancer: Amplified. 20 new tracks, a new protagonist named Nocturna, a new zone, new enemies, a new boss battle, and more. It’s going into Early Access on January 24 and I am pumped. I’d like to say I’m shocked about the Crytek news this week, but…well, it’s not the first time. In case you missed it, about a week or two ago Crytek employees started alleging late and missed paychecks again—something that happened in 2014 and eventually led to Homefront: The Revolution being brought in-house at Deep Silver, along with some other behind-the-scenes changes. It wasn't enough, apparently. And this week the changes are more drastic, with Crytek saying that five of its studios “will not remain within Crytek.” Whether they will be sold off and/or reconstituted under another company, like Homefront’s team, remains to be seen. Two studios will continue to operate within Crytek—the teams in Frankfurt and Kiev—with the company claiming it will “continue to develop and work on premium IPs.” Best of luck to everyone involved. Continuing with the bizarre studio news, MMO publisher Turbine went through a shake-up this week. Two of its properties, Lord of the Rings Online and Dungeons & Dragons Online are moving over to a new indie studio formed from ex-Turbine employees, known as Standing Stone Games. As part of the transition, Daybreak—itself the indie spin-off of Sony Online Entertainment—will now handle publishing of both titles. And Turbine’s other MMOs, Asheron’s Call and Asheron’s Call 2, will be closed down on January 31, 2017. Sounds like Turbine owner Warner Bros. wants out of the MMO business. Again, best of luck to anyone affected. Best of luck also to the players, many of whom have stuck with Asheron’s Call for 15-plus years at this point. Always a shame when we lose one of the granddaddies of the MMO genre, and it’s a shame that there’s no talk from Turbine’s side of private servers or an impending source code dump.